The Samsung Chromebook Plus V2 showed up basically out of nowhere. I still remember getting the press release from Samsung back in June and being a bit taken aback by the abrupt arrival of this new Chromebook. After looking through the changes on offer, I was a little on the fence about the device as a whole. A downgraded display, thicker chassis, and more-rectangular aspect ratio made me feel like Samsung had made a mistake. However, in our review, I found I like the new version of this Chromebook pretty well. With it and its predecessor both coming in at $500, I ended up siding with the older version for the screen, but that was a close call and just my subjective opinion. For me, the upgraded keyboard, performance and build quality were the things that made me have to really consider the newer version of this device as a contender in the space. At the $500 price, however, there have been too many other devices that I’d have to recommend first and that is mainly due to the mediocre speed and performance of the internals. There was a period, after all, that the HP Chromebook x2 was only $550 brand new and that device runs circles around the Samsung Plus V2. In my head, I wondered what I’d feel if this same hardware had an improved processor. After all, my interest in the Chromebook Pro versus the Plus simply came down to speed. Instead of launching a totally different device, Samsung has wisely offered a higher-performance version of the existing device. 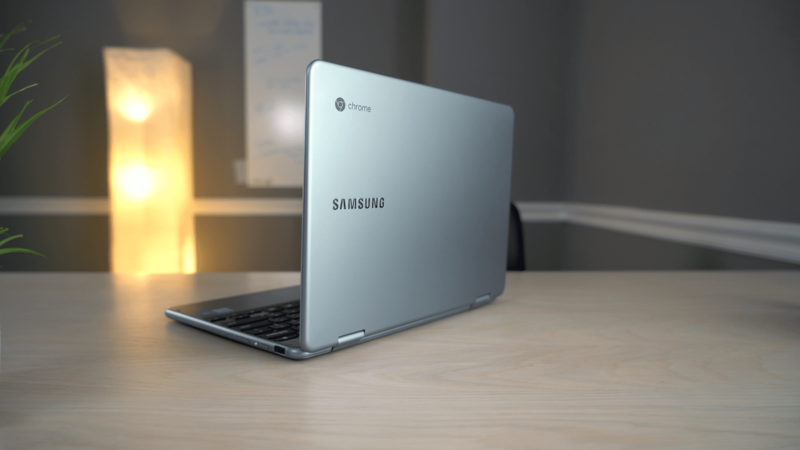 Along with an LTE model, Samsung has dropped the Chromebook Plus V2 with a Core m3 and it changes all of my opinions about this Chromebook. The price is important here, as well. The MSRP is $599 and I’m on the fence about what Chromebook to buy if you have $599. However, as of the writing/filming of this post, you can snag the Samsung Chromebook Plus V2 Core m3 for only $450. At that price, I’ll go ahead and spoil the video: you should buy it if you are even remotely considering it. At $599, I can’t 100% recommend it. At $450, this becomes a no-brainer.